We absolutely love Wide Eyed Editions' superb series of books celebrating iconic and inspirational men and women. Two new titles in the "Inspiring Icons" series have been released and the first is an absolute doozy. 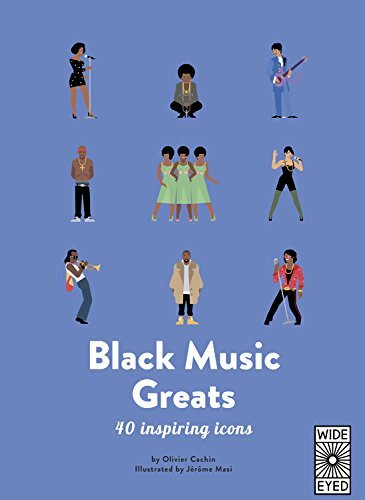 "Black Music Greats (40 Inspiring Icons)" by Olivier Cachin and Jerome Masi lists some of the most influential, inspirational and downright funktastic performers on the planet, past and present. From Kanye to Beyonce, From The Supremes to Tupac, you'll find all these amazing folk and many, many more tucked within the pages of this amazing book. With tons of interesting facts about their music and achievements, it's a huge resource of information on some of the world's most amazing performers who have become mega-successful million-selling artists, and have gone on to shape the course of music for decades. 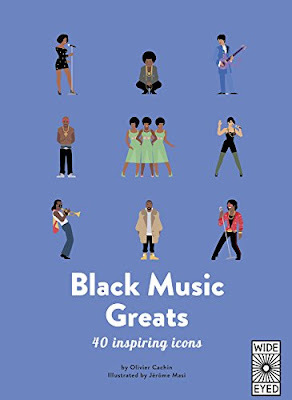 "Black Music Greats (40 Inspiring Icons)" by Olivier Cachin and Jerome Masi is out now, published by Wide Eyed Editions. 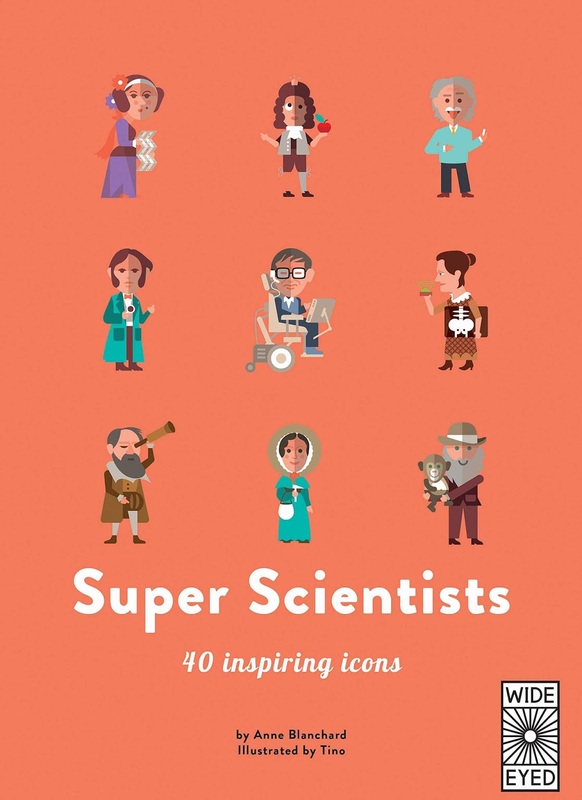 If science is more your thing, then there's also "Super Scientists (40 Inspiring Icons) by Anne Blanchard and Tino lists 40 of the most inquiring minds in science. Collected together in a fantastic volume of the series, these inquisitive and innovative men and women are waiting to showcase their big ideas. Find out how these scientists spent their lives asking questions and making leaps and bounds in the world of science and technology. From Marie and Pierre Curie to Albert Einstein, from Isaac Newton to Stephen Hawking, they're all in here, and so is a huge range of information about these super-brainy folk. Perfect for the budding scientist! 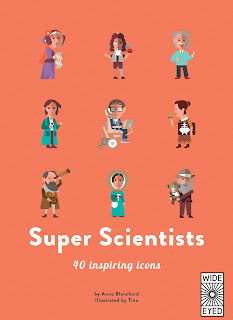 "Super Scientists (40 Inspiring Icons) by Anne Blanchard and Tino is also out now, also from Wide Eyed Editions. 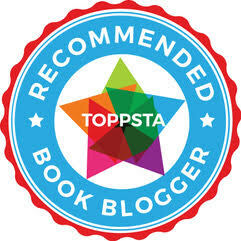 (Both books kindly supplied for review).